Super Bowl Sunday is the 2nd largest day for U.S. food consumption after Thanksgiving Day. 82,500 fans will watch the game inside MetLife Stadium in East Rutherford, N.J.
Super Bowl XLVIII is expected to be the most-watched game in history and break 2012’s 111 million viewers. The price of one ticket to the game has ranged in price from $500 and $2,600. It costs $51 to take a shuttle to the stadium from various locations in New York and New Jersey. The NFL has spent $11 million on game-day security. The local economies in New York and New Jersey are expecting $30-90 million boost from game-related spending. The players on the winning team will see a $92,000 bonus, while $49,000 will go to each of the players on the non-winning team. 26 percent of fans say they pray to God to help their team. This year the cost for a 30-second commercial is $4 million. For more facts about this huge annual event, visit these articles from E! Online and ABC New York. 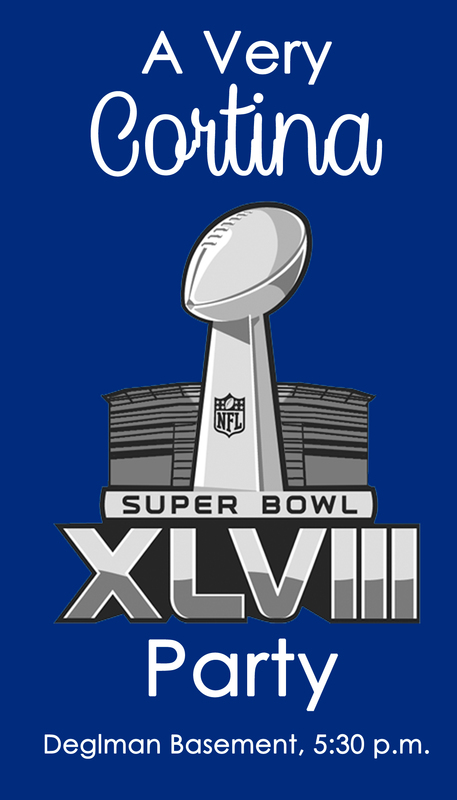 Whether you are cheering for your favorite team or are only tuning in to see the commercials, enjoy this year’s Super Bowl!